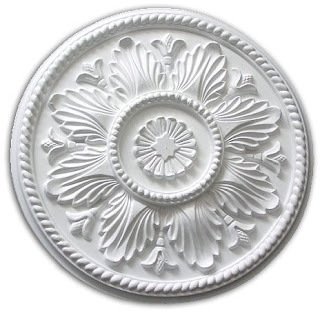 A ceiling medallion is a decorative element installed in the center of a ceiling above a chandelier or ceiling fan. 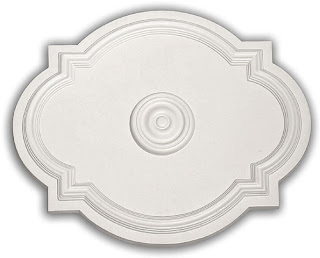 Historically, ceiling medallions were carved from wood and installed on the ceiling. 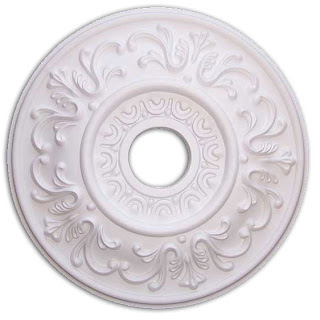 Now, ceiling medallions are lightweight, inexpensive, and made of moulded urethane or resin. 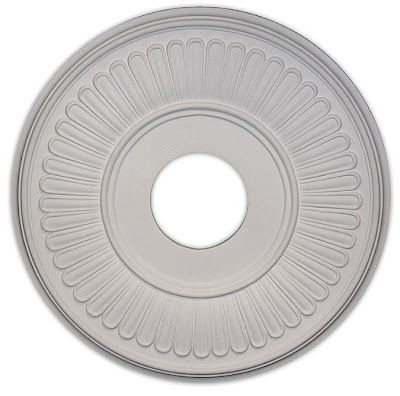 Ceiling medallions vary widely in style, detail, and depth. They can be applied to the ceiling with finishing nails and adhesive. 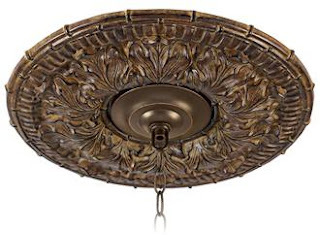 I go into so many homes that have beautiful chandeliers and they've forgotton to add a medallion. 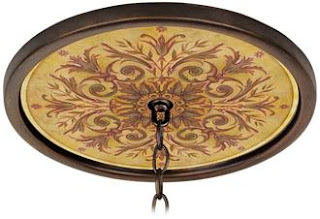 Medallions don't have to be added to every chandelier but there are some rooms that just need one. Below are a variety of styles that can be chosen. I recently added one to a client's dining room and it really turned out nicely. 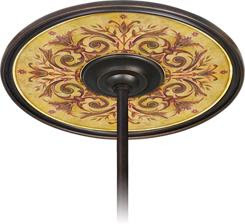 We purchased the medallion unpainted and I had an artist "Mary Howe -with Divine Inspirations" paint the medallion for me to match their chandelier. It turned out beautiful. The client didn't want to go overboard in this room so we decided to add plantation shutters, new carpet & chandelier. 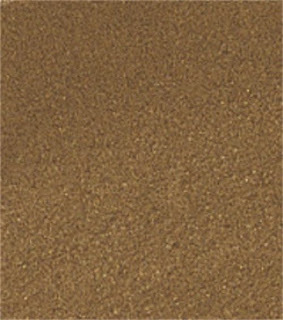 We also painted the room with a beautiful soft color and texture that resembles "venetian plaster". It's still a work in progress but it's looking great so far. The walls were wallpaper before so you can only imagine what it looked like. We haven't done any "decorating" yet but it looks fresh and clean and definitely updated. 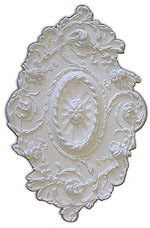 Go to http://www.youtube.com/watch?v=qLnkA5VWihA to watch a video on painting medallions. 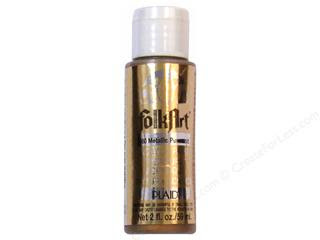 I also suggest using this metalic antique gold paint made by Folk Art if you are wanting to "do it yourself"
: http://www.hofcraft.com/plaid-folkart-paint.html?gclid=CMuNyYqo4JwCFRyenAoddi8lKg , it's awesome for painting all kinds of textures. 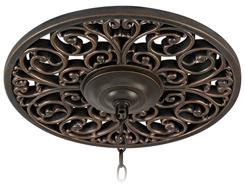 Take a look at your chandelier...does it need a medallion?